The teapot has a tear-shaped flared body that is decorated with tear-shaped cartouches to either side. It sits on a wide, flared circular foot. The spout is prominent and continues some way down the base. 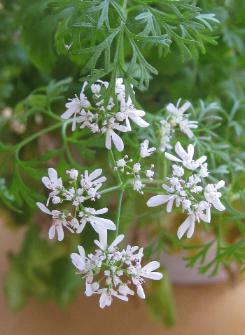 The lid has a bud finial, matched by a bud-like protuberance that rises and curls down from the handle. makhara (upper part); the stylisation allowing the silversmith to conform with (some) Islamic notions that mitigate against the overt depiction of animal and human forms. Overall, this is an impressive and monumental piece – surprising in its size and its elaborate decoration. The proportions are excellent, the work is particularly fine and the item has a good weight in the hand. 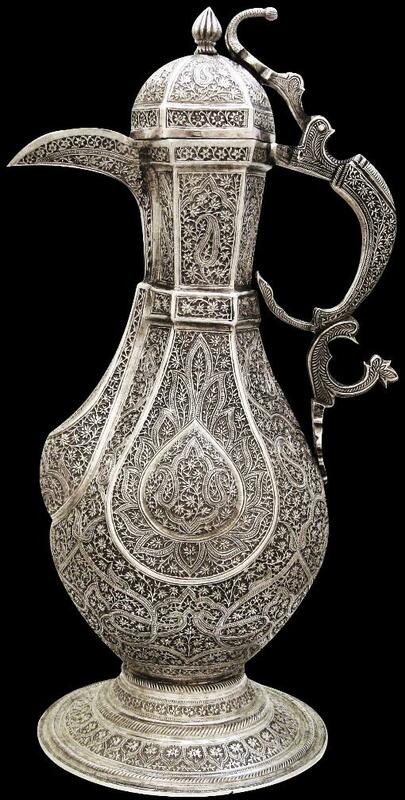 By any measure, this is an extraordinary piece that both showcases the heights of which nineteenth century Kashmiri silversmithing was capable and demonstrating a syncreatic blend of influence between Islamic north India and Bukhara, underscoring the trade routes at that time. Watt, G., Indian Art at Delhi 1903, Being the Official Catalogue of the Delhi Exhibition, 1902-1903, Superintendent of Government Printing, India, 1903.